From the desk of... R.E. Hargrave: We're GIVING THANKS . . .
. . . to our WONDERFUL READERS! 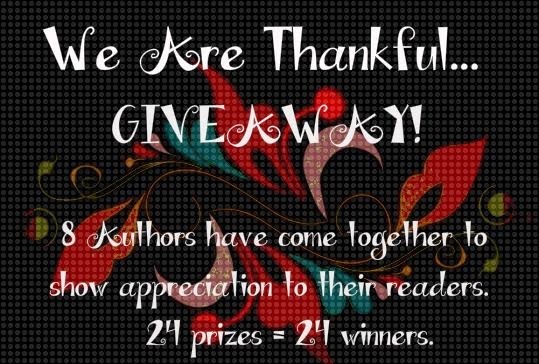 Just click away on the rafflecopter below for your chance to win one of 24 prizes as our way of saying thanks to the readers that make what we do all worth while! Hoping I win something from one of these amazing authors! BEST OF LUCK on it! !